Do I Get a Jury Trial in Mississippi? Home » Do I Get a Jury Trial in Mississippi? If you are planning on suing someone, or in the alternative are being sued by someone, you may be wondering when you’re entitled to a jury trial? Similarly, if you are facing criminal charges, you may have the same question. If this post I will give some basic information to help answer your question of Do I get a Jury Trial. Right Preserved. The right of trial by jury as declared by the Constitution or any statute of the state of Mississippi shall be preserved to the parties and inviolate. Waiver of Jury Trial. Parties to an action may waive their rights to a jury trial by filing with the court a specific, written stipulation that the right has been waived and requesting that the action be tried by the court. The court may, in its discretion, require that action be tried by a jury notwithstanding the stipulation of waiver. This gives us some guidance as to how important a jury trial is considered in the American legal system. However, after the passage of tort reform, certain types of civil lawsuits do not allow for a jury trial. One example is a lawsuit against a government or state entity. These types of trials take place as a Bench Trial where the judge acts as the finder-of-fact and law. Stated simply, the judge acts as judge and jury. You also do not get a Jury Trial in a Workers Compensation case nor a Social Security Disability case. Whether in a civil case or a criminal case, you should contact an experienced Attorney to give you a more precise answer to this question because there are always exceptions. 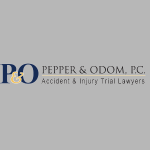 The Attorneys at Pepper and Odom Law Firm will be happy to discuss any questions you may have. Call today for a free and confidential initial consultation with one of our Attorneys at 601-202-1111.